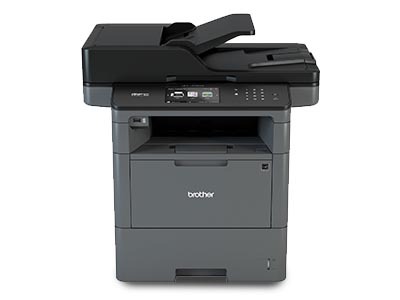 Discover a full range of Brother printers and photocopiers in Melbourne. Call one of our experts today. Copysonic supplies and installs a wide range of Brother printers. Contact us to find out which professional high-speed printer will suit your business needs. Our range of Brother printers can integrate with many popular cloud service options. Produce and share your work seamlessly with wireless features and smart devices. Printer repairs, service, and troubleshooting are carried out by our technicians who are qualified Brother printer installers. A Copysonic customised service agreement will ensure you get the longest life from your Brother printer. When you purchase a new, used, or ex-demo Brother printer, choose from a 90-day or 10,000-print warranty with your purchase. For further protection, you can also buy extended warranties. Choose from our range of the latest Brother printer models that offer outstanding multifunction capabilities, fast print speeds, A3 printing, and more. Our technicians refurbish used machines to give them a new lease on life. Multifunction printers, copiers and scanners come with our guarantee, making them a high-quality and affordable option. We've provided our clients with Brother printers and copiers for over 25 years. Copysonic recommends quality Brother printers that meet your budget and business requirements. Our expert technicians can have you back online the same day. We’ll take care of repairs, refills and connection issues for you. A Copysonic service agreement ensures your Brother printer is regularly maintained and kept in working order. From troubleshooting to repairs, you can be assured by our technicians who have at least 15 years' experience. Talk to us by phone, or we can come to you. Our technical experts will work with you to find a printer solution for your business. Our team will give you a range of printer models to consider that suit your budget and printing workflow. Once you have decided on your new, used or ex-demo Brother photocopier or printer, we can arrange a rental agreement or payment plan. Your printer will be delivered and installed by one of our expert technicians. Reliable, consistent printing is integrated with your office network. Our technician will show you the essential functions. Then, it’s over to you to get back to business. Can I purchase a new or used Brother printer from Copysonic? Copysonic supplies and installs new, used and ex-demo Brother printers and copiers. Can you repair and service all Brother photocopiers and printers? Our technicians are experienced in the service and repair of a broad range of Brother models. If replacement parts are needed, they can be sourced quickly. What type of warranties are available for Brother copiers and printers? 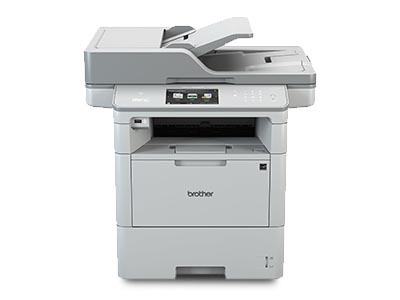 You can choose from a 90-day or 10,000-print warranty with any Brother model purchase. Extended warranties are available to buy. Can you set up my Brother printer for networking capabilities? Our installation and service offer includes connecting your Brother printer to your office network. Our Brother printer support includes installing printer driver software. If you'd like to know more about our Brother printers and photocopiers, our experts can help. Get in touch and we'll get back to you soon.